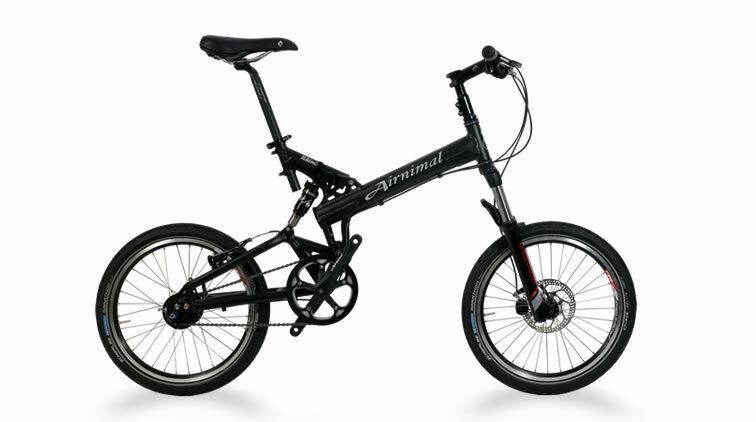 Full suspension, reinforced frame and BMX wheels ensure comfort and reliability, ON or OFF-road. The Rhino is the ‘heavy duty’ Airnimal. Whether that means taking to the trail, a self-contained tour out into the unknown, or blasting through our pot-holed streets, the no compromise suspension, reinforced frame and super strong BMX wheels ensure a comfortable, controlled and reliable ride. To compliment its versatile nature, the Rhino can take tyre profiles from a fast road slick up to a wide off-road knobbly. 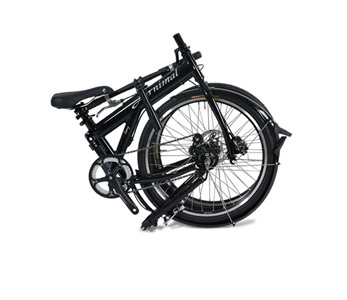 See our instructional videos showing how each of our bikes fold. Featuring a 8 speed Alfine hub gear the White Rhino is the perfect mixed surface companion. The comfort and power to ride all day. 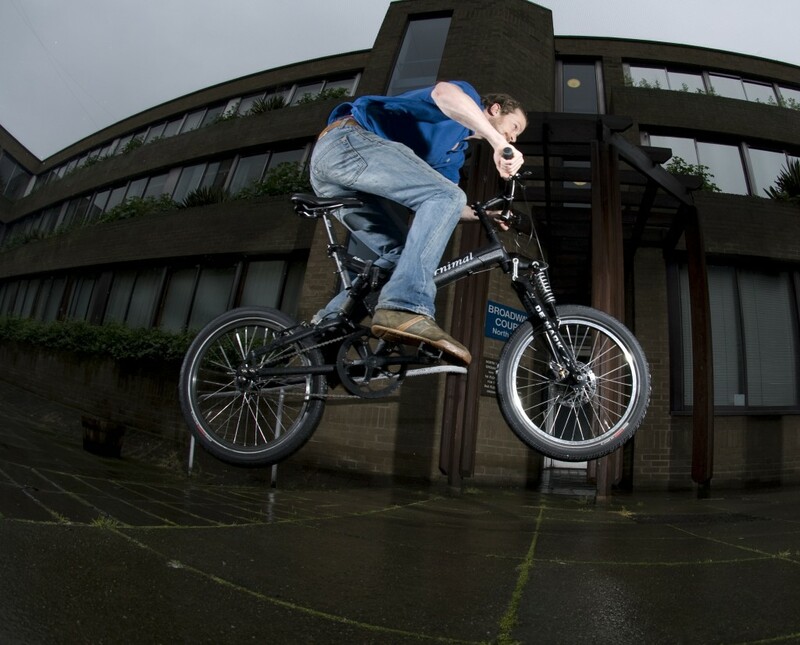 The 20”, ISO 406 wheel is commonly used for BMX bikes because its small size makes for agile handling and an exceptionally strong wheel. These characteristics combined with the ability to fit a 2” knobbly without increasing the folded size beyond airline limitations make an ideal wheel for the Rhino. 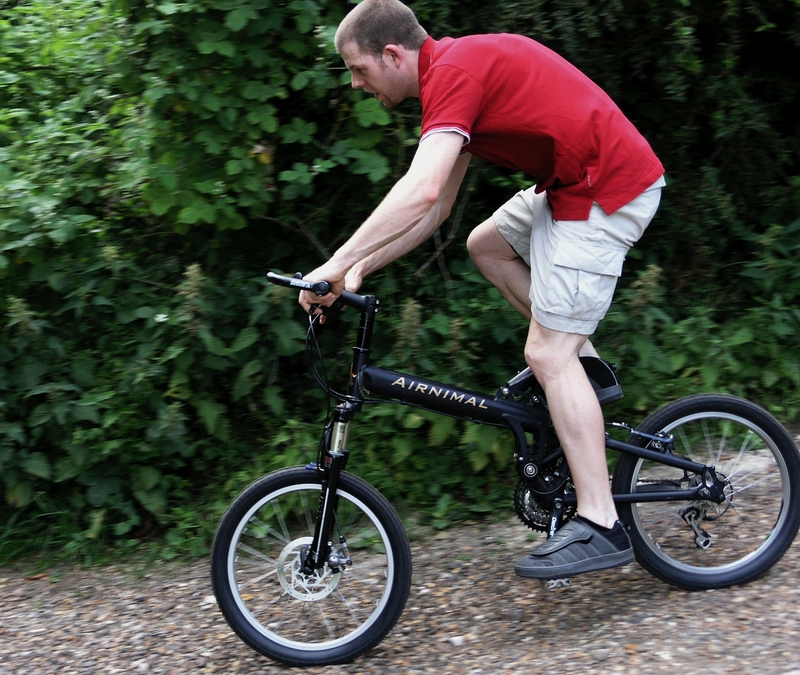 The ISO 406 size is very widely used for BMX and for recumbents. Consequently, there is a wide range of good quality tyres ranging from the widest knobbly to narrow high performance slicks. The Rhino comes in one size, and can fit riders from 157cms (5’2”) to 190cms (6’3”). 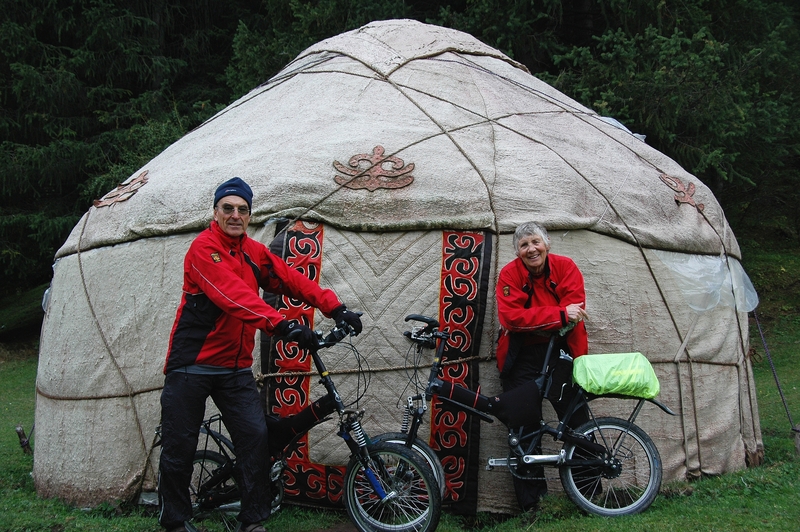 However, depending on riding style and body proportions, larger riders can be accommodated. The Rhino makes an ideal heavy duty mixed surface tourer or commuter and can easily be fitted with racks using our rack fitting kit. 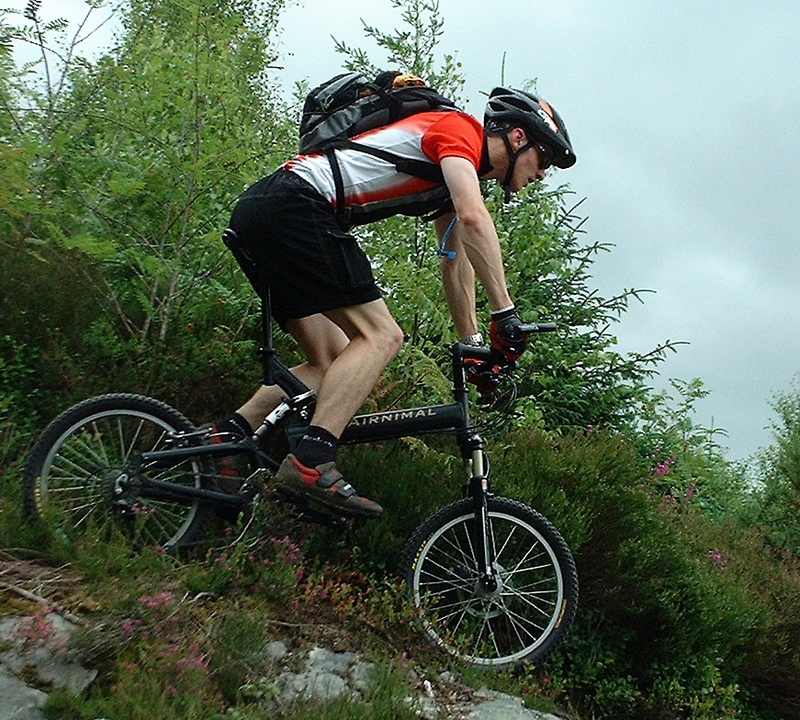 Full length mudguards can be fitted using a bridge on the suspension fork and our SKS mudguards. The Rhino has two levels of fold. The first level, car boot/commute/fast fold can be done in under 45 seconds. If required, for protection or regulations, the folded bike can be folded into the first fold bag in a further 60 seconds. The second level, fitting the bike into the Traveller suitcase for airline or other travel, can be done in around 5 minutes. That is for a bike without mudguards or racks (both of which will fit into the case) and without packing any other luggage or accessories. For the two levels of fold, we offer 2 carrying systems. 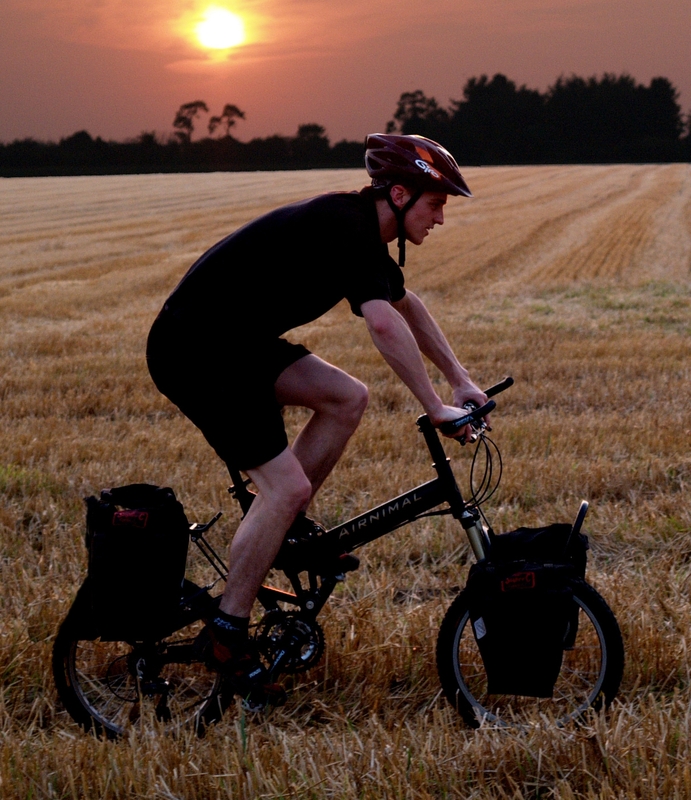 The first fold bag, which has shoulder straps for carrying the bike and can be rolled or folded for packing while riding the bike, is a quick and simple system ideally suited to train, car or coach travel. For airline travel, or storage, the Traveller case is remarkably quick to pack and can easily accommodate accessories and clothing including a helmet. In a word, yes! For the first fold, everything is by quick release. The front wheel and seat post are removed and the seat tower and main frame folded around pivots. The suitcase fold requires the above plus back wheel and pedal removal (we have some very neat quick release pedals) and finally the handlebar is removed from its stem by undoing two allen key bolts. For taller riders it might be necessary to remove the steerer tube extender and stem also – again 2 bolts. All our bikes use readily available standard components. Other than the frameset and wheels, any non-stocking dealer should be able to supply parts. 9. What about my check-in allowance? The Traveller case weighs around 8.5kg. Rhinos weight between 11.5 and 14 kgs which is within most airline check-in allowances. The Rhino is particularly suitable as an heavy duty, mixed surface tourer. It has bosses for a rear rack and we offer some quick release fittings to facilitate removal when packing the case. 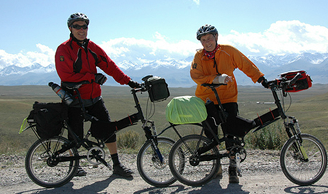 If you want front panniers, we recommend and stock the Old Man Mountain rack, which works with a suspension fork. With its gusseted, butted, heavy duty frame and suspension the Rhino is suitable for riders up to 110 kgs– 240 lbs. 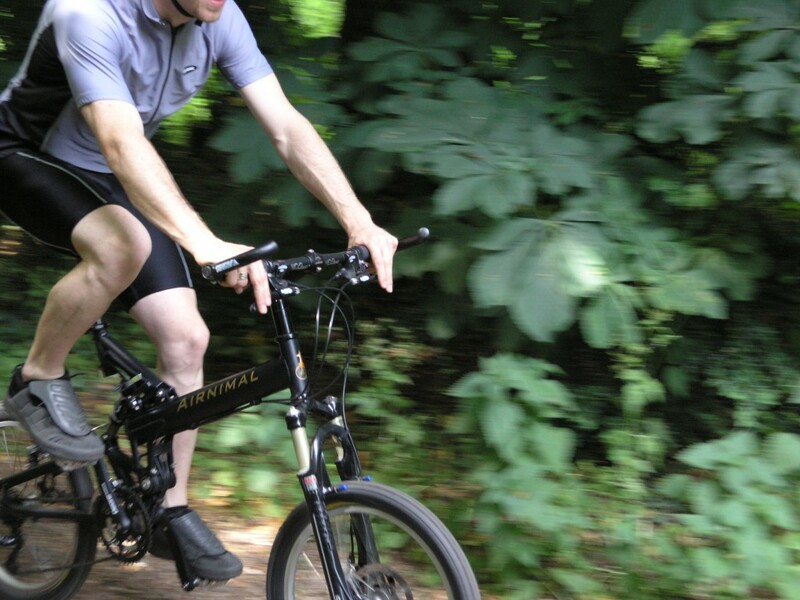 The Rhino makes an agile off-road bike and is perfect for travelling to and exploring distant trails. 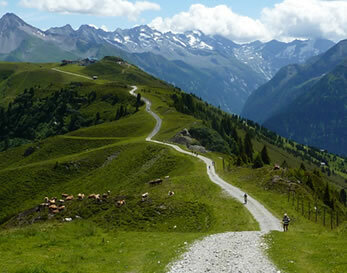 It is also ideal for heavy duty touring, particularly when mixed and/or difficult surfaces are anticipated.